Together 'wee' can do it! Mum gets paid HOW MUCH to potty train kids? Together ‘wee’ can do it! Mum gets paid HOW MUCH to potty train kids? How much would you give to go through the potty training process without a single accident in public, a single soiled bed sheet or a single day spent cleaning up poop from the carpet? The going rate for professional potty trainer and mum-of-three, Amanda Jenner, is $3430 per child. And her toilet training empire is growing at an exceptional rate! Ask Amanda Jenner what she does for work and you will be met with quite an interesting answer – she potty trains children for a living, and has been doing so for 18 incredible years. During that time Amanda has visited countless families and spent hours with their kids, teaching them how to poop like a big kid. She has also designed an innovative potty and toilet training pack to help parents with this often frustrating process. While many professionals make a living helping parents with sleep problems, Amanda may be in a league of her own as a “toilet whisperer”. But it is clearly something that is in demand – Amanda has a one year waiting list for her services. Amanda helps families from all walks of life who are desperate to train their children without causing any damage or trauma. “Some of the clients are very wealthy, but some of them are actually quite average. The sad thing is that almost all of them think they have failed, when it’s just a really difficult thing to do,” Amanda tells The New York Post. She usually spends three days with the family, getting to know their routine, before setting out to achieve toilet training success. She also assists childcare centres as often the burden of toilet training is shared by parents and educators for those children who attend daycare. 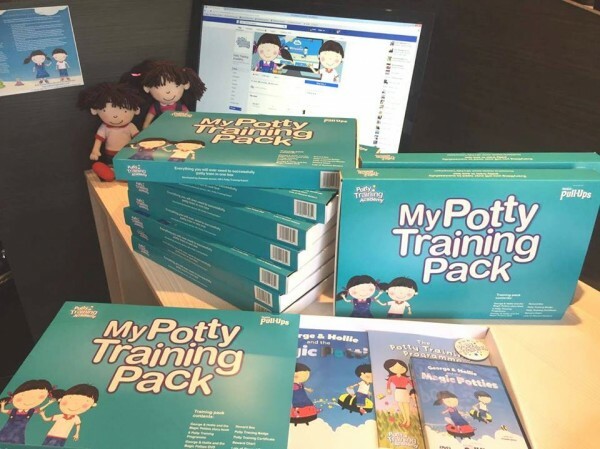 The British mum started The Potty Training Academy after facing her own trials and tribulations during the toilet training journey with her eldest child. After being forced to lug a massive potty around with her everywhere she went (and being shamed by a stranger for dumping the excrement down a drain in public), Amanda decided there had to be an easier way. She set about designing a tidy, portable toilet called the My Carry Potty, which led to a whole line of toilet training products and a whole slew of awards including British Female Inventor of the Year in 2014, Business Woman of the Year 2013 and New Business Woman award and Entrepreneur of the Year in 2010. I’ll be the first to admit that toilet training is extremely hard and the pressure on parents is quite stressful. However, it can be even worse for kids. Unsuccessful toilet training can lead to confusion, a loss of confidence, embarrassment and even anger. If left too long, a lack of potty training can lead to issues at school and during sleepovers. But would you spend over $3000 on outsourcing the job? Amanda currently offers her services to UK-based families only but her line of products, including books, dolls and My Carry Potty, are available on her website and she does offer overseas shipping on a case-by-case basis.